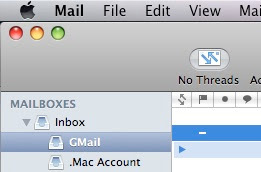 A New Mac Tip Every Day: Organizing threads in Mail! Yeah this feature is available in Tiger. 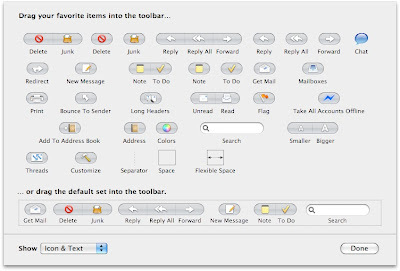 I used to use it a lot but I find it less convenient than Gmail's. Good tip though. You can also just go to view / organize by thread. That does the same thing. I agree with the previous post. Available in Mail, but not as good as GMail's version. Because this tip is starting to be really useful when aplied to Smart mail fodler which combines all messages including Sent. This is due to fact that threading support in Mail.app works only on the current folder. A really great tip. Thanks from a Tiger user! Can you sort the thread in Mail.app using the From Field as opposed to the Subject field? Dragging windows from one app in Spaces!